Riverside, CA (September 14, 2018) – The California Highway Patrol reported that a driver ran a red light and caused an accident that ended in injuries on Van Buren Boulevard yesterday, September 13. The CHP said that officials arrived to the scene to find that the accident took place between a red older modeled van and a Dodge Durango. The driver of the Dodge SUV went right through the red light and struck both motorists. Paramedics were immediately called to the scene and the victims were transported to the hospital for their injuries. Towing services came and removed both vehicles from the school. Every day, drivers on the roadways across California disobey the rules of the road, sometimes making small mistakes that lead to big results. It is important to understand what rights you have when this happens to you. We wish to extend our sincerest condolences to those involved, as we understand how difficult it can be to move forward after a personal injury. 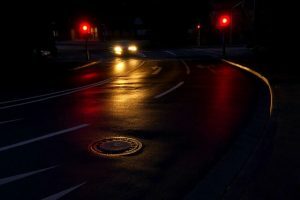 When wrongdoing has been a factor, such as in cases where somebody ignores a traffic light, the victims involved in an accident can bring a claim for compensation to cover their damages. If you spent time in the hospital or missed out on crucial time at work, these are all aspects that you might be able to recover for so that you can move forward with the knowledge that you have received the recovery you deserve. Investigators will be making many determinations about the accident such as the speed at which the drivers were traveling, if distracted driving played a role, and many other factors that can lead to these serious results. At the Los Angeles Injury Group, you have many rights when it comes to your case and we want to speak with you as soon as possible about your options. Call us for more information today at 310-954-7248.